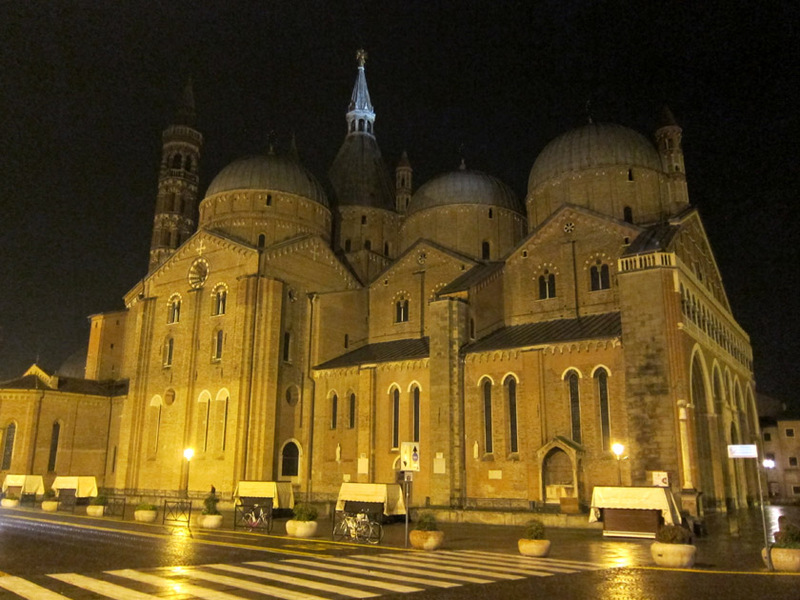 While I was visiting for Giotto, Padua’s biggest draw is actually the Basilica of St. Anthony of Padua. This Byzantine-Oriental structure is stylistically related to St. Mark’s in Venice and features a central tower over the high altar surrounded by seven domes. The interior of St. Anthony’s is a mixture of frescoes, paintings, and other decorations spanning about 800 years of art history, from faded Gothic images of pious monks to a grandiose Baroque chapel of relics to an apocalyptic modern art dying Christ. The highlights for me were an elegant crucifix and grouping of saints by Donatello, the ascending Art Nouveau saints painted around the high altar, and the friendly, almost cherubic Madonna and Child near the entrance to the Basilica by Stefano da Ferrara dating to approximately 1350. Amid images of Anthony preaching and performing miracles, a steady line of pilgrims could be seen visiting the tomb of St. Anthony which was flanked by a wall of mementos, notes, and offerings left by those whose prayers had been answered. 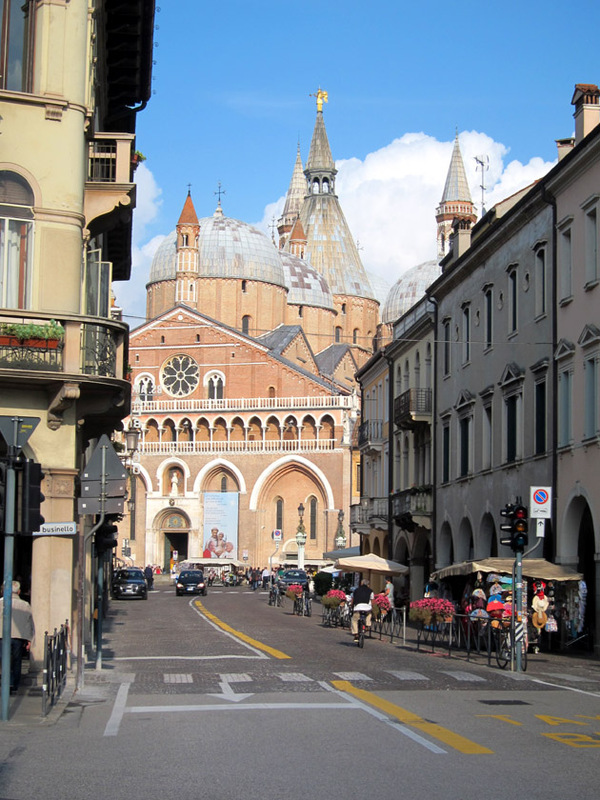 The Basilica of Saint Anthony of Padua boasts five domes and a central tower. 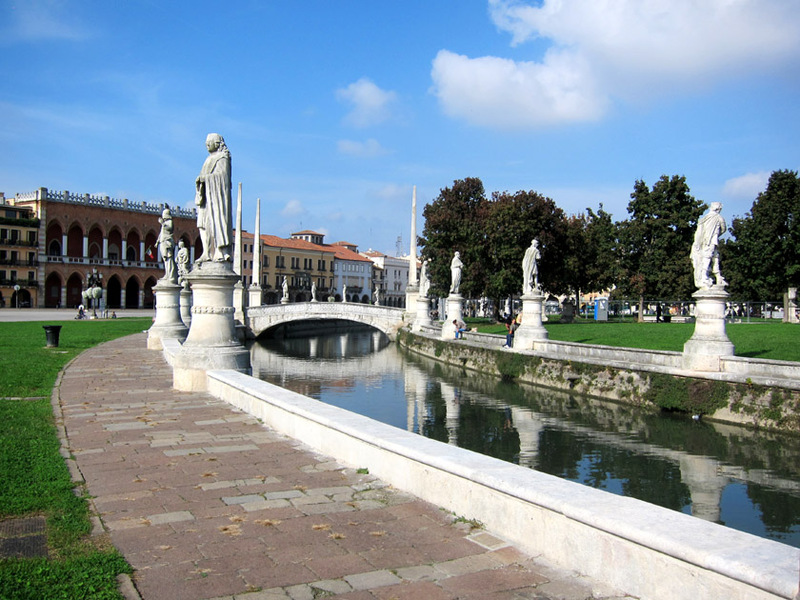 Padua also boasts a botanical garden founded in the 16th century. Originally created to cultivate and study medicinal plants, the Orto Botanico di Padova went on to become a 18th century botanical laboratory and was ultimately named a UNESCO World Heritage site because of it historic scientific importance. The associated Biodiversity Garden science museum is absolutely amazing with living, global ecology rooms and interactive educational displays. I never knew plants were so interesting! 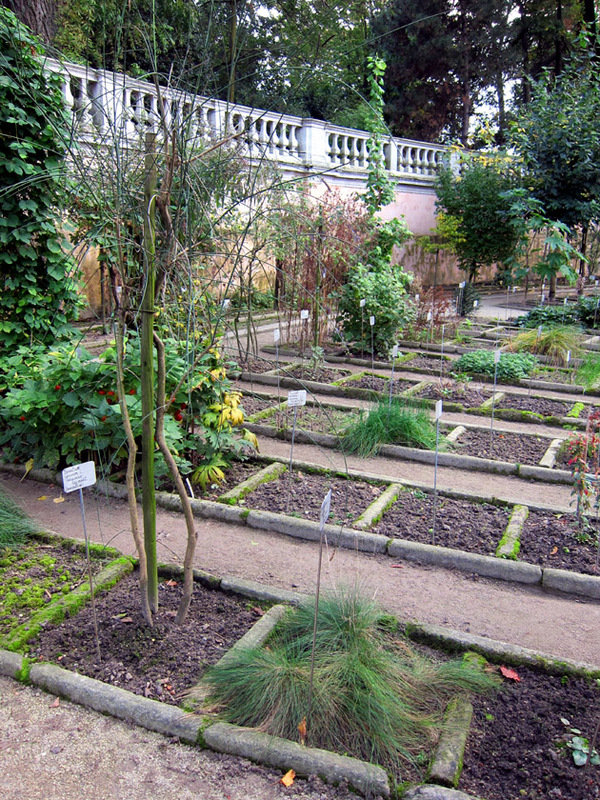 Plant specimens can still be found in their original, neat little rows at the historic botanical garden, Orto Botanico di Padova. 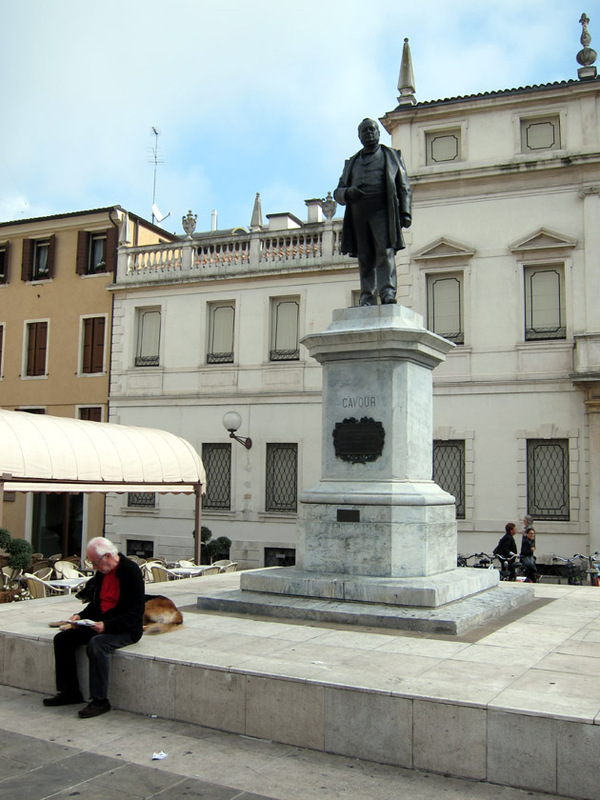 There are some gorgeous piazzas and urban parks in Padua including my favorite the Prato della Valle. This oval shaped canal is ringed by 78 statues from the 18th century of great Italian poets, artists, statesmen, bishops, philosophers, historians, doctors and scientists. (This is a university town after all.) Lovely bridges bring pedestrians into a green space and a massive fountain in the center of the ellipse. On this particular warm autumn day, the park was filled with picnicking friends, families with children, and students reading in the sun. 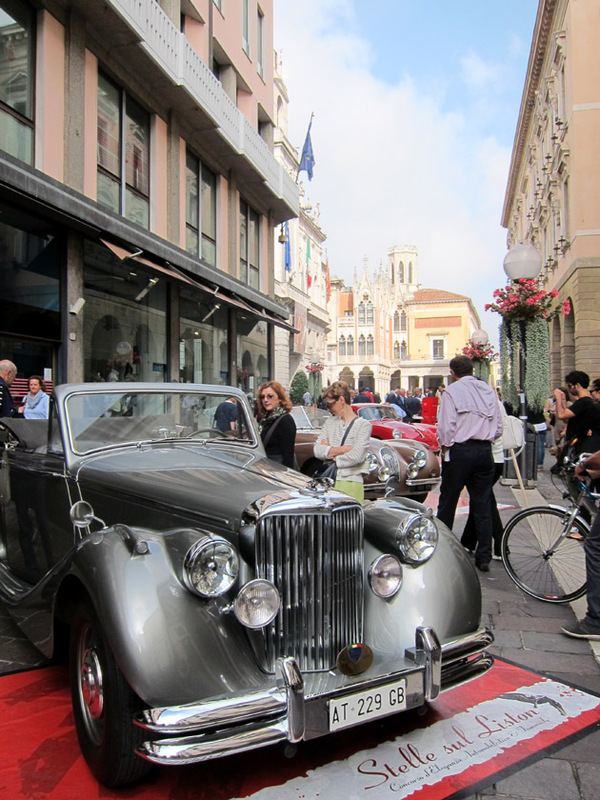 On the day I visited, the other historic piazzas in city center were hosting a classic car festival. Perhaps a little anachronistic surrounded by 15th century civic buildings, I still liked seeing the elegant design of the cars and the crowds gathered for the show. Luckily the locals didn’t let the car festival interrupt their routines. There were still plenty of people enjoying lunch outside, strolling, or reading in their favorite spots. 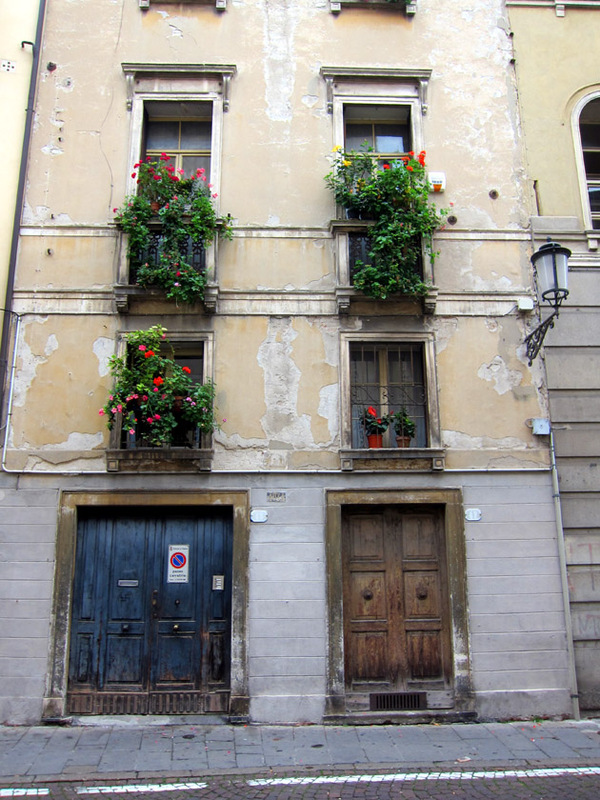 This was fun to see, but what I really loved about Padua were the city streets and the little architectural details in each of the homes and palazzos. These ranged from evocative, historic windows to hand-crafted shutters and balcony railings. 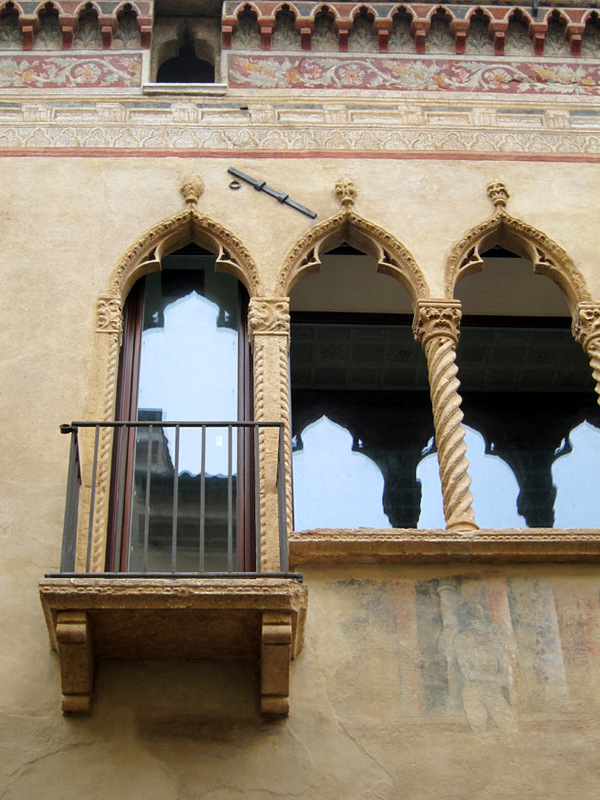 These Gothic windows harken back to the Venetian Empire. 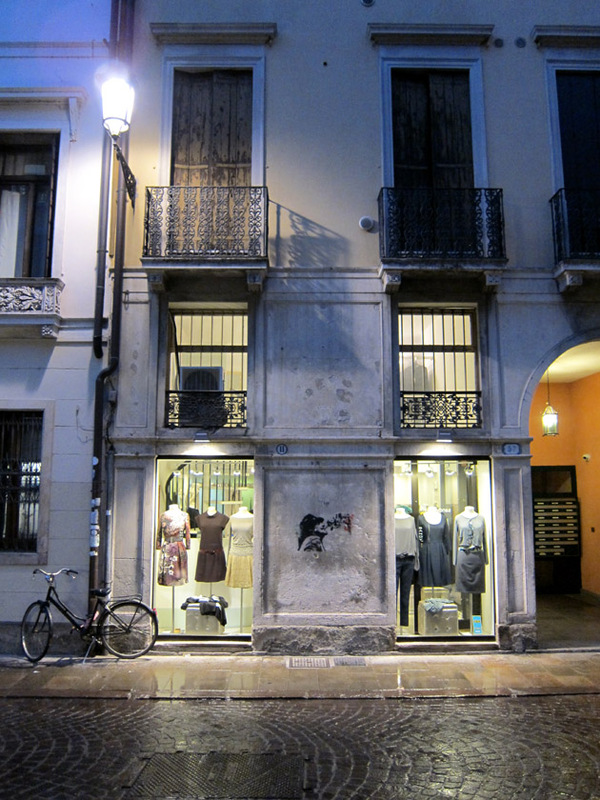 The elegant store fronts turned window shopping into high art. There were plenty of surprises too. You just have to stop and look. 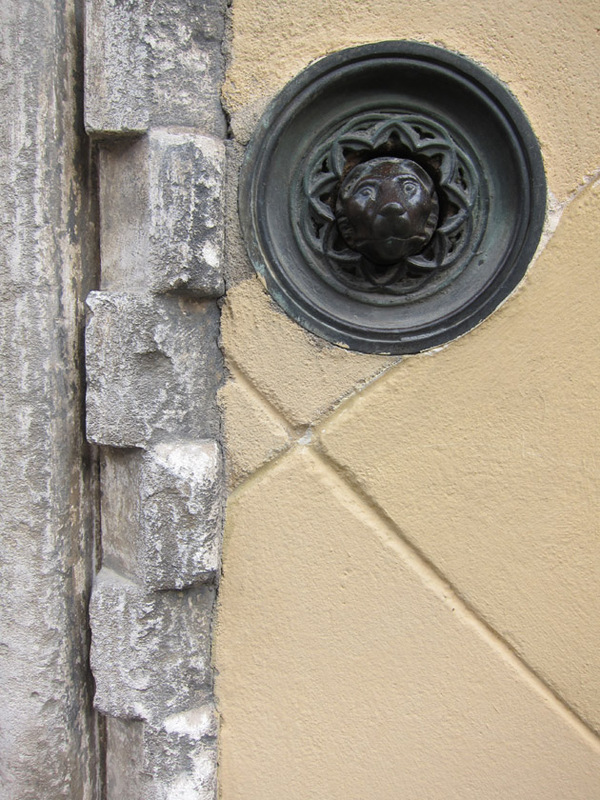 Lion-shaped push style door bell. 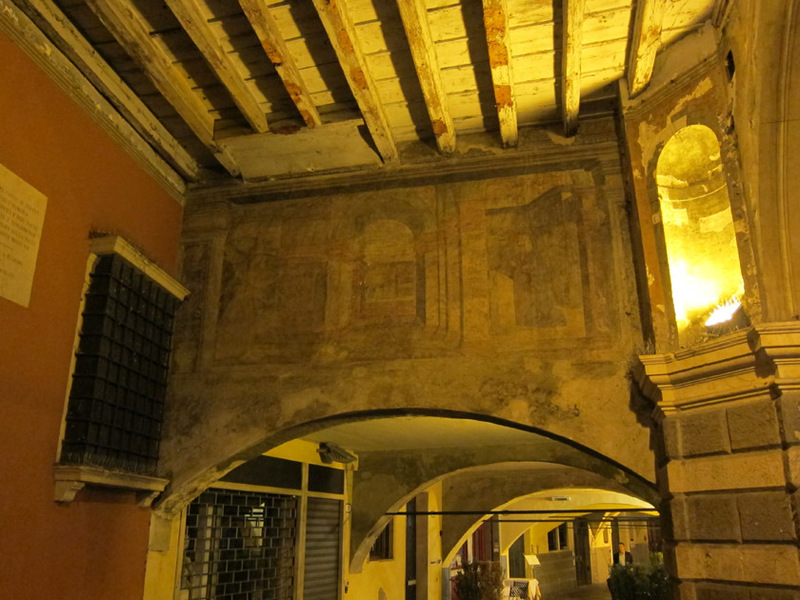 A faded painting of an Annunciation inside a portico architectural element. 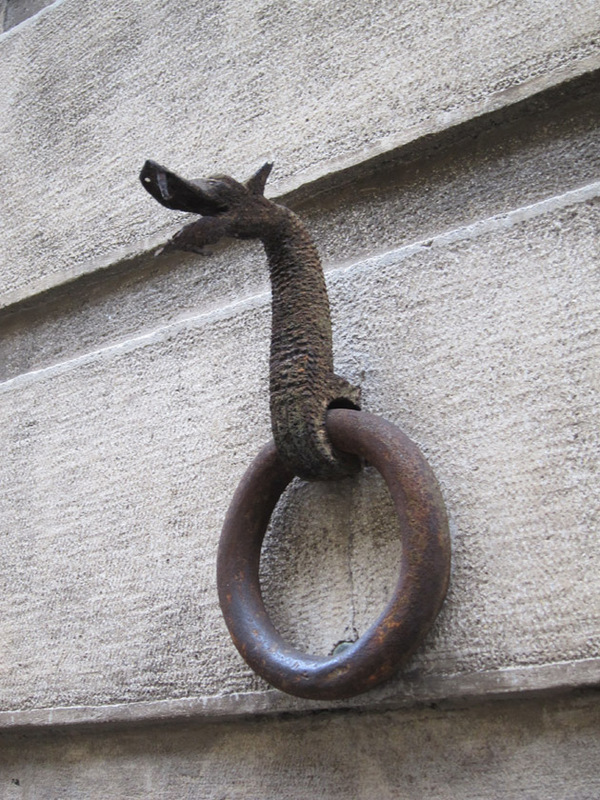 Dragon heads ring embellishments along the exterior of a palazzo. The streets themselves were beautiful no matter what the weather conditions. 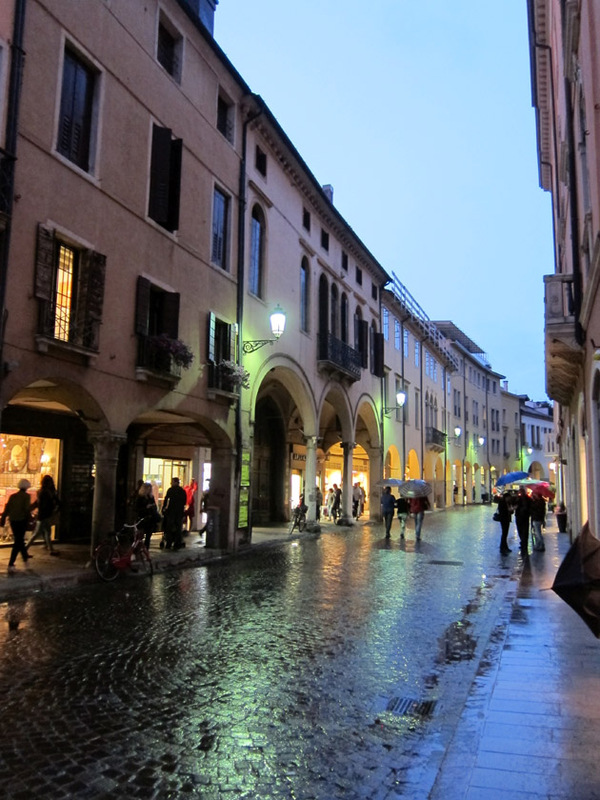 A rainy evening in Padua makes the stone streets shine. 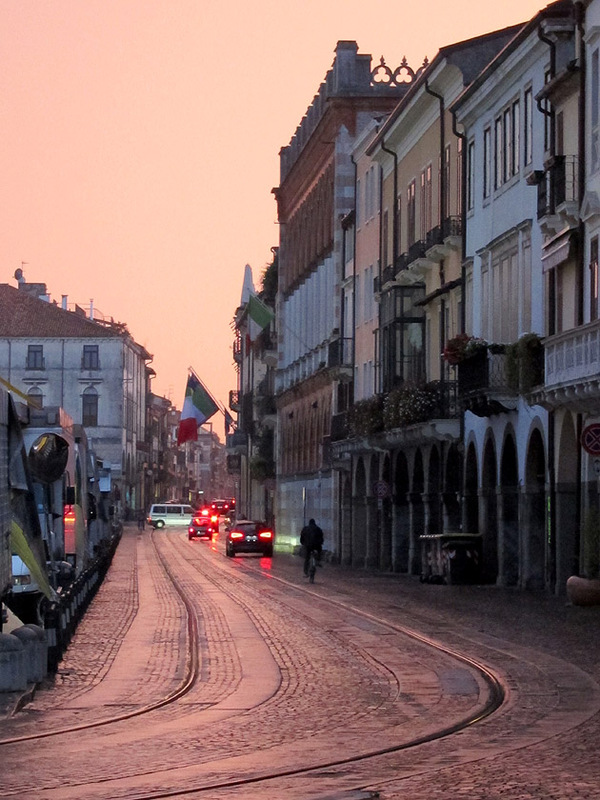 Padua is an awesome city filled with beautiful architecture and art. I loved my visit, and honestly, I already want to go back. One of my favorite cities in Italy! I initially went to see the Arena Chapel, but was pleasantly surprised to walk through the most adorable college town 🙂 .